If she hadn't died in 2001 at age 22, there's no doubt that Aaliyah Houghton would have been a big star in music and possibly in movies. Try Again was her only number one hit from the film Romeo Must Die which was Aaliyah's first starring role. She was born Jan. 16, 1979 in Brooklyn, NY but her family moved to Detroit when she was age five. Her route to the music business was her uncle Barry Hankerson was married to Gladys Knight. He managed Aaliyah's career and started Blackground Records for her. She was 12 years old when Hankerson signed a distribution deal with Jive Records and he introduced Aaliyah to R. Kelly. He produced her 1994 album Age Ain't Nothing But A Number. The album was certified 2XPlatinum and Back & Forth and At Your Best were top ten hits. Aaliyah and Kelly were married on Aug. 31, 1994 when Aaliyah lied about her age on the marriage certificate. Her parents had the marriage annulled. Aaliyah never talked much about Kelly except that Hankerson moved Blackground to Atlantic and she had no contact with Kelly afterwards. It didn't hurt her music career. For her 1996 album One In A Million, Aaliyah worked mostly with Missy Elliott and Tim "Timbaland" Mosely. The album was certified 2XPlatinum. The One I Gave My Heart To was a top ten hit. Aaliyah really seemed to click with Mosely. Then after graduating high school, she got into acting. While her songs appeared in films like Anastasia and Dr. Doolittle, Aaliyah appeared on an episode of New York Undercover. Then she signed to star with action star Jet Li in the film Romeo Must Die. The movie did OK but the soundtrack album was very successful. Try Again was Aaliyah's only number one hit. Mosely wrote and produced the song. The 2001 album Aaliyah was very successful. It was released July 2001. And it was while on a video shoot in The Bahamas that Aaliyah died in a plane crash on Aug. 25, 2001 at age 22. An investigation showed there was too much weight on the plane. And that was it. Obviously Aaliyah was going to be a big star. Miss You was a top five hit in 2004. I was surprised that there is no single CD Aaliyah comp available. 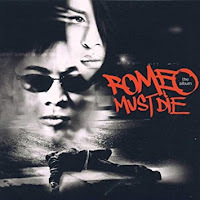 The Romeo Must Die soundtrack is available and some versions of the 2001 CD Aaliyah have Try Again added as a bonus track. Take your pick. Apparently there are unreleased Aaliyah songs in the vault. But Mosely won't allow any of them to be released. Here's the video for Try Again by Aaliyah.